Nowadays, to forget someone is very hard, even impossible. The presence of social networks makes it easy, to come across a post from the one you want to forget. And sometimes, you’re tempted to take a look at his page to see what’s going on in his life. Then you’re wondering if he’s happy without you? has he already move on? or does he think about you? 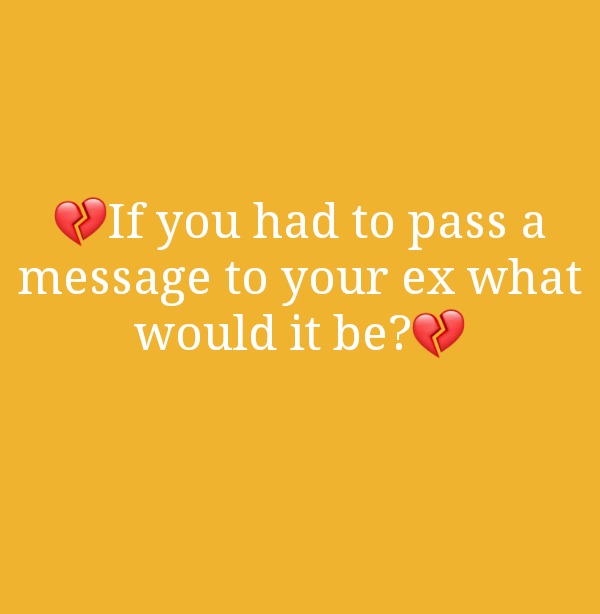 Only to end up hurt (except for those with a heart of steel) and sad, while he’s(your ex) living his life without worrying about your pain. When I want to forget someone(don’t judge me, I’m human), I really go to it and it’s no joke. I am a sensitive person, and when I’m hurt or feel disrespected, I make sure it doesn’t happen again. So I will start by deleting your number and photos from my phone and unfollow you on Instagram, Facebook and every other pages if there is. And if we have friends in common, I will find a way to avoid you. People will say it’s cowardice, but I don’t see the point of following each other on social media when we don’t talk anymore. Nevertheless, we can’t avoid someone forever. One day you’ll end up crossing at each other in town or at an event. What will you do? pass and ignore him, or greet and have a chat with him. It’s important to be honest with your feelings and stop fooling yourself. Don’t act like you don’t care ,and stop being an hypocrite say what you need to say or move on. So if you really want to get him off your mind forever, you need to protect yourself from your past feelings and not be tempted by memories. The time spent together, kisses and hugs. It will only makes it hard for you to let go of him and move on with someone else. But in case you love someone and you’re afraid to tell him, and decide to keep it for yourself, you are a coward. Hide your feelings will only make you sad and angry. It’s sad to say but today only casanovas have guts to express their fake love while Romeo is watching his love go away. What a shame and a waste!!! You have to dare again and give love a chance. It will be painful sometimes, but there is nothing more exciting than sharing your world with someone you love and who gives you hope, happiness and even more, his love.